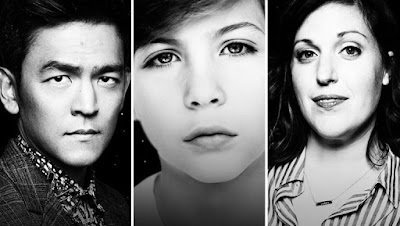 The upcoming, modernized reboot of the Twilight Zone is gearing up to be pretty damn amazing. With early word on the show stating that some classic episodes would be revamped for the new era, it looks like the casting is also going to be top notch. CBS All Access just announced that John Cho (star of this year's thriller, Searching), Allison Tolman (FX's Fargo) and Jacob Tremblay (Room, Shut In and The Book of Henry) would all be joining for the episode titled 'The Wunderkind'. No details have been revealed about the plot of the episode yet. This new iteration of The Twilight Zone will be hosted by Jordan Peele, who will be taking over the classic role of creator Rod Serling. He will be the third person to fill that spot as Forest Whitaker served the part in the 2002 relaunch of the series. With other new shows like Black Mirror filling the anthology void on TV, some have questioned if this is the time to try the Twilight Zone again. Yet, with our current political and environmental climate, this might end up being perfect.